In the verses above we witness John the Baptist at his most ferocious. He had established himself as an intriguing figure and on the day in question, he was to be found baptising people in the river Jordan. Earlier in the chapter Matthew records that John had attracted people ‘from Jerusalem and all Judea and the whole region of the Jordan’. Huge crowds of people had flocked to him in order to be baptised. They were confessing their sins in the hope of obtaining God’s forgiveness and receiving a fresh start. Clearly he had caused quite a stir in the area. Indeed, as we read in the verses above, John had made such a splash that he attracted the interest of the Jewish religious leaders. The Pharisees and Sadducees, keen to see what all the fuss was about, took a trip down to the river to see what John was up to. On seeing them, John lashed out at them, calling them a ‘brood of vipers’. He spoke of ‘the coming wrath’, the judgement that could lead in one of two directions: eternal life or eternal death. John was in no doubt about the fate of the religious leaders. John was extremely critical of the religiosity of the leaders and their belief that this would be enough to redeem their souls and gain them eternal life. Whilst they were outwardly showing remorse for their sins, John clearly did not believe that they had shown true repentance. If they had, they would be producing fruit, showing outward signs of their relationship with God. That fruit was lacking, however. There was nothing in their actions or their words that showed that they had a true relationship with God. John concluded, therefore, that these prominent figures had not truly repented of their sins; their remorse was lacking, and their religion was merely theatre, intended to gain the admiration and respect of their communities. In reality, John could see that spiritually, they were rotten to the core. 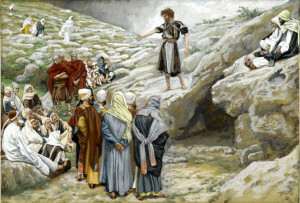 John warns of the consequences of failing to truly repent. “Every tree that does not produce good fruit,” he said, “will be cut down and thrown into the fire.” This would be the future of the Pharisees and Sadducees unless they changed their ways and truly turned to God. Since they were not bearing fruit, their lives would end and they would be forced to endure the fires of hell. John knew that the religious leaders of the time were convinced that their historical connections and their their position in religious society would lead to their salvation. They had clearly been known to announce that they were, after all, the children of Abraham, the great father of the Jewish faith. They believed that this was sufficient to win favour with God. John could not be more critical of this attitude. Being a child of Abraham does not have the weight that they thought it had. Indeed, John knew that it was largely irrelevant. 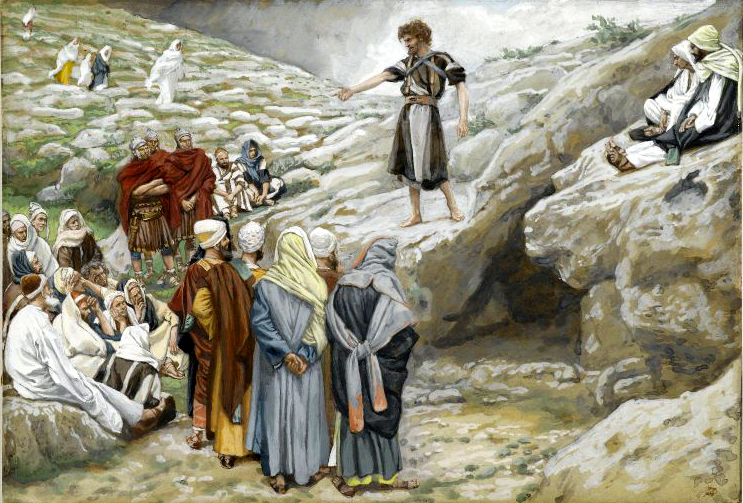 If God was simply looking for children of Abraham to welcome to his kingdom, he could make the stones on the ground into more deserving candidates for salvation than the Pharisees and Sadducees. Relying on historical connections was not enough to gain acceptance by God. John understood that if anyone was to gain a place in God’s kingdom of heaven, there was one thing that they need to do; repent of their sins. This was his clarion call, “repent, for the kingdom of heaven has come.” The repentance that John was calling for was true repentance, however, repentance that leads to changed lives, to lives that outwardly display and reflect the love of God. These powerful words of John the Baptist give us much food for thought. If we claim to follow Christ, clearly we should examine ourselves, our attitudes and our actions. Do we think that we have gained salvation simply because we attend Church every week, or because we’re on the coffee rota, or because we serve on the PCC? Do we think that we have been saved because of who our parents, or grandparents, or great-grandparents were? If we do, John wants us to be clear that we are wrong. The only way to gain admission to the kingdom of heaven is by repenting of our sins, saying that we are sorry to God, turning from evil, and allowing his love to transform our lives. I wonder if all those of us who claim to be Christians really do ‘produce fruit in keeping with repentance’? Do we love God? Do we love our neighbours? Have our lives truly known the transformational love of Christ, who took on our sins when he died on the cross? Or do we claim to be Christians but in reality continue living as if we are not? This entry was posted in Bible Reflections and tagged Matthew. Bookmark the permalink.